Spring is officially here, which means the weather is getting warmer. If you have kids, they’re probably anxious to go outside and have some fun. You’re probably right there with them. As an active father, himself, Michael Squellati encourages all parents to make as much time as they can do to spend time with their children outside. It’s not only good for their health and yours, but it can allow you to develop a stronger bond with your kids and get into new adventures that don’t involve what’s on television. What Can You Do Outdoors? As a collegiate athlete, Michael Squellati isn’t afraid to lose his breath or get dirty. One thing you can do with your kids is start a garden. Your kids can get their hands dirty and learn the basics of gardening. You’ll be happy when those tomatoes and cucumbers are in full bloom come harvesting time. 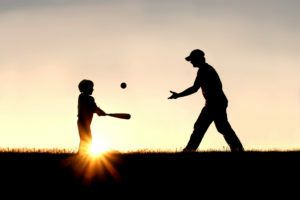 Another thing you can try is introducing your kid to a new sport. When he or she is old enough, you can enlist them in a youth league or start off slow and go out in the backyard and teach the basics yourself. Sports can be a way to stay active and also a good learning tool. Finally, with the warmer weather and blooming plant and flowers, many municipalities hold fairs and other events this time of year. Check out what’s in your area to see if there is an event you and your kids may be interested in. And if the event has funnel cake, all the better. Spring is no time to spend indoors. Try these and other activities to stay active with your kids and engage in things that will bring you closer together and create memories. The importance of having an active father in a child’s life cannot be overstated. Dr. Kyle Pruett wrote a book called Fatherneed: Why Father Care Is As Essential As Mother Care for Your Child that presented some interesting facts about why active fathers matter so much. For example, he notes that infants who spend time alone with their dad exhibit richer social and exploratory behavior. In addition to that, young people with an active dad in their lives are less likely to drink, do drugs, and get involved with criminal activity. They are also more likely to be successful academically and decide to go on to college. As a father of his own three year old son, Matias, Michael Squellati is as devoted of a father as they come. He spends all of his free time raising him and teaching him the lessons he has learned so far in life. 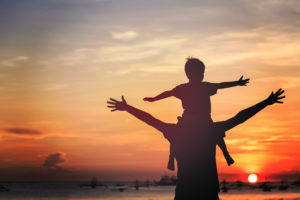 Recognizing the importance of a father on a child’s early cognitive and social development, Michael Squellati does everything that a good father would do for his child. He reads with him, plays with him, introduces him to new experiences, and provides for him in every way that he can to ensure he has the best childhood possible. When he is not raising his own son, Michael Squellati enjoys spending time helping children who are in need and who may not have as strong of a fatherly presence at home. He donates his time and money to an amazing charity in Los Angeles called A Place Called Home. Although there is a small staff in place, the group relies on volunteers as more than 1,000 volunteers log in over 40,000 hours annually to help underprivileged children by working on education, training, and enrichment programs.